Paris Saint-Germain have completed the signing of defender Thilo Kehrer from Schalke, the Ligue 1 champions have confirmed. The 21-year-old has signed a five-year contract at the Parc des Princes, committing himself to PSG until June 30, 2023. 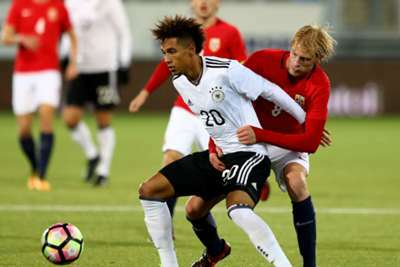 Neither club has disclosed the transfer fee paid for Kehrer, who will wear number four for Thomas Tuchel's side, but reports suggest the Germany Under-21 international cost €37million. "It is with a lot of emotions and ambitions that I join Paris Saint-Germain," he told his new club's official website. "Throughout Europe, the strength and attractiveness of the Parisian project are known to all. Nowhere else could I imagine finding a better club to continue my progress and achieve my goals. "I am going to meet team-mates here of an extraordinary level and a coach who has done a very good job in Germany these last years. "They will all will bring me a lot and I also hope to quickly bring them my qualities. I am also eager to discover the Parc des Princes, one of the legendary stadiums of European football." Tuchel had stated his desire to strengthen PSG in central defence and add depth in the event of playing with a back three. In Kehrer he brings in player who impressed during Schalke's second-place finish in the Bundesliga last season. Overall he made 59 appearances for the Gelsenkirchen outfit, scoring four times. "Once we were satisfied with the finances and knew that Thilo wished to accept the offer from PSG, we were happy to support this deal," Schalke sporting director Christian Heidel told the club's website. "We would like to thank Thilo for six great years at Schalke and also wish him all the best for his future. "We are also looking forward to hopefully seeing him again soon in the Champions League." 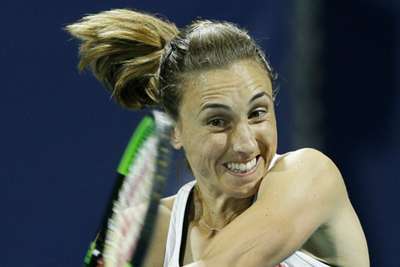 Tamara Zidansek took the first set off Petra Martic in Istanbul, but the sixth seed fought back to reach the second round.